As we mark 100 years since the Halifax Explosion on December 6, we look back at what our Sisters experienced during what was the largest human-made explosion prior to the detonation of the first atomic bombs in 1945. Historical accounts tell us that two ships collided in Halifax harbour. One ship, the Mont Blanc, was loaded with ammunition for the First World War. 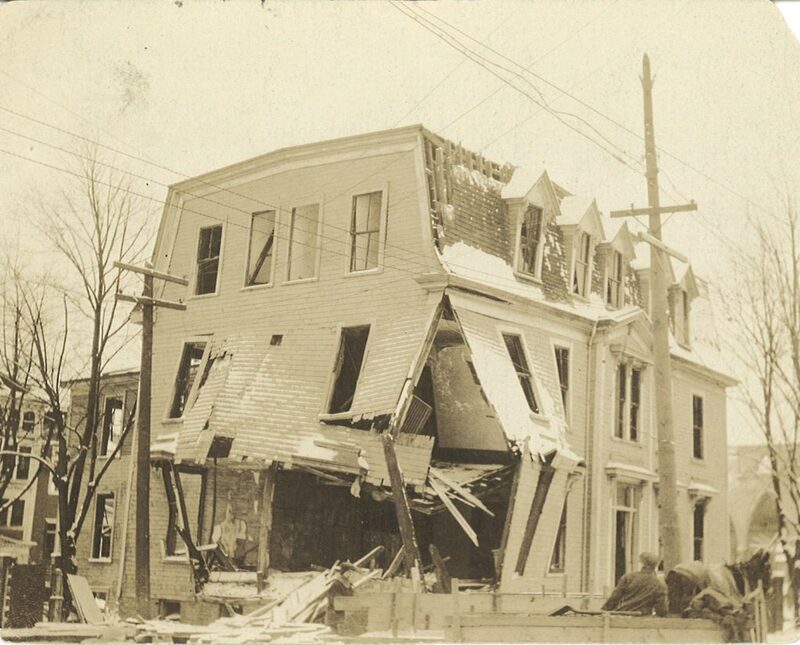 The explosion that ensued from the collision wiped out the North End of Halifax. 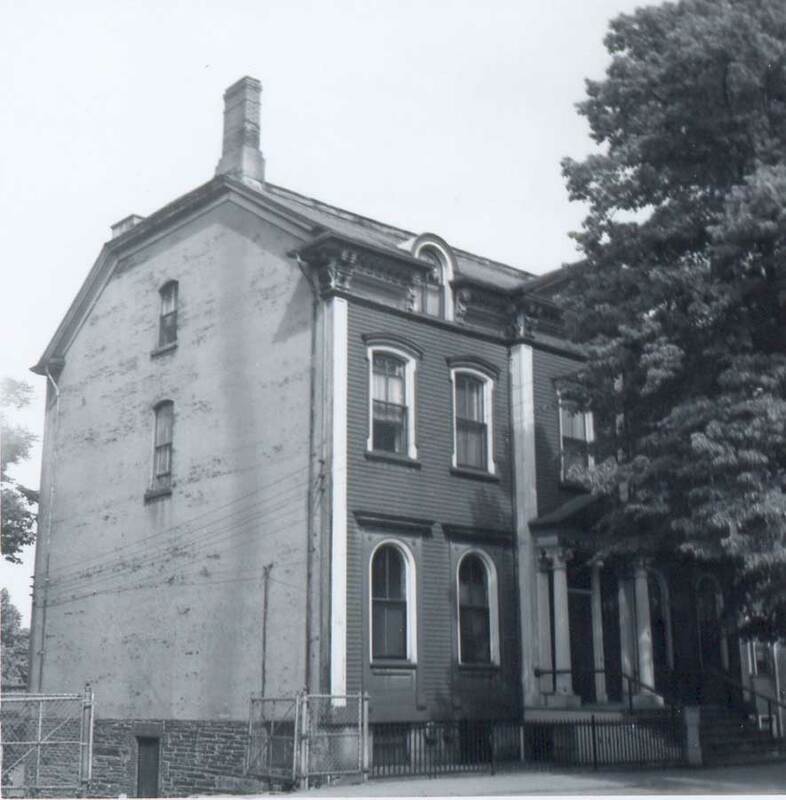 The original Motherhouse and Academy of the Sisters of Charity-Halifax was located where the present day Mount Saint Vincent University now stands, which is not far from the North End. What follows is a letter sent to all Sisters by Mother Mary Berchmans, Mother General of the Congregation at the time of the explosion. SCHalifax Archives #178 Mother Mary Berchmans Walsh. Undated but pre-1921. 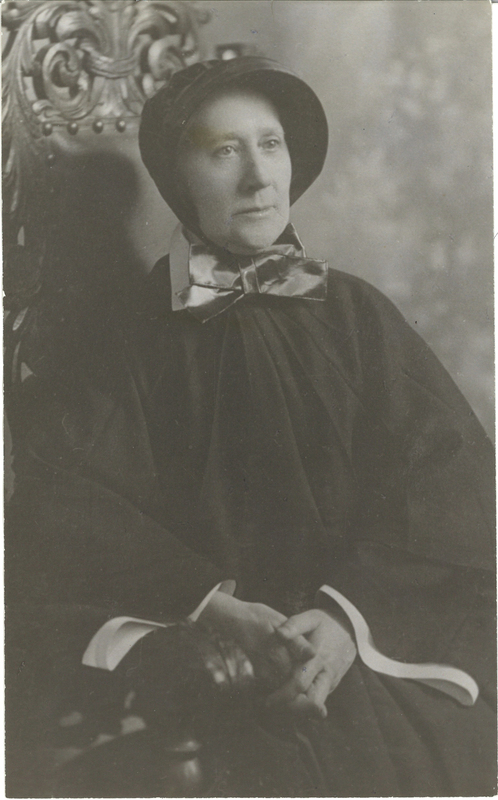 The annals continue, “The roof was blown off Sister Ethelred’s classroom and part of it was found on the next street … One child was killed … In Sister Agnes Gerald’s seventh grade … one of the girls lost her life … The Assembly Hall … was shattered.” Sister Edwina had been using The Assembly Hall as a temporary classroom and had thankfully kept her Grade 1 pupils in the basement somewhat longer than usual that morning; otherwise all would have been killed. What was left of St. Joseph’s Convent was destroyed by the blizzard that hit the city the following day. 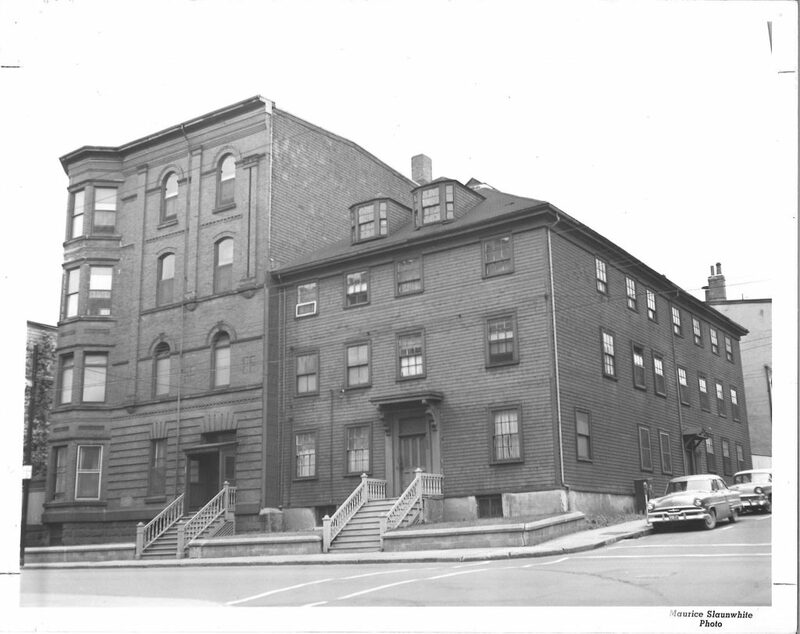 In the spirit of the Sisters of Charity – Halifax, groups of Sisters went every day to help in general relief work, and the Mount gave hospital care to a number of persons in distress. Several people remained at the Mount until late spring. 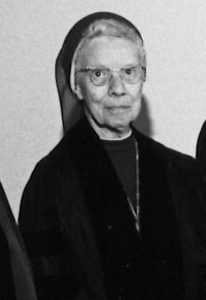 Sister Anna Gertrude Smith in 1985 when she received an honorary degree from Mount Saint Vincent University: Doctor of Humane Letters. The following is an account of the tragedy of one family, the Philip Smith family, as told by Sister Anna Gertrude Smith, former Head of the Math Department and registrar at Mount Saint Vincent College. “Mamma, Phil and Anna were at home. Papa was at work in Woodside. Will had just begun his first year at Holy Heart Seminary. Gerald was attending Saint Mary’s College High School and Margaret and Gertrude were students at Saint Joseph School. Now I shall describe my impressions. At 9:05 AM a terrific roar and piercing light, impossible to describe, ushered in the horrible devastation. Suddenly all was darkness as the floor of my second story eighth grade classroom gave way and we were buried amidst plaster and debris below the first floor level. Then self-preservation took over. After much shoving and pushing I finally saw a ray of light, and eventually arrived at what had been the front entrance. … I saw Will coming down the street. Just then Margaret appeared from the other side of the building and we walked home. A man covered in blood was holding up a girl. Will said they were Phil and Anna. … Will asked Margaret and me to hold Anna up, who was unconscious, while he and Phil rescued Mamma who was pinned under the piano. …Will put Mamma, Anna and Phil on a cart and we all went to a low place, the Bog, now the area where the Hydrostone homes are built. This area was thought to be safe. At Saint Mary’s High School, Gerald was hit on the head by a window frame. By the time he was able to move, we had all disappeared and he and Papa arrived about the same time in front of our house which had already been burnt. The only thing remaining out on the street was the family Bible in which there was a picture of Irene (a sister who died 8 years previously) Papa put this in his pocket. Then they went to Holy Heart Seminary where they stayed overnight. The next day they began to visit all the morgues in search of Anna. 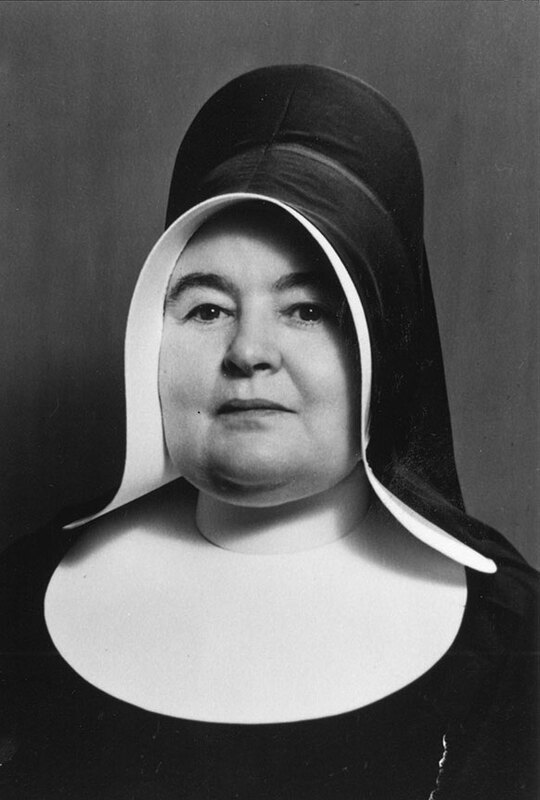 However, she had been taken to Camp Hill Hospital and was found by Sister Mary Berchmans Haverty, one of Anna’s teachers at the Mount Academy. Anna had lost her right eye and her face was almost completely covered in bandages… Sister took Anna’s hand and said, ‘If you are Anna Smith, press my hand.’ Sister got in touch with Father Will. … Anna had serious internal injuries. She was taken to the operating room several times, but to no avail. The Sisters at the Mount prayed and she was cured. Mamma was taken to Cogswell Street Army Hospital where she was found on Sunday. Phil was sent to a hospital in Antigonish. Before we left the Bog, I saw him lying on the ground quivering from head to foot from the severing of nerves and loss of blood. Sister goes on to say that little by little, the wounded family members began to heal, and finally their mother and Margaret joined them in September – nine months after the explosion. The re-united family began to build a life together. On December 6, 1917, Sister Mary Eucharia Franklin was feeding the children at the Home of the Guardian Angel when Imo and the Mont Blanc collided in the harbour, causing a huge explosion. The Home’s fire escape door was ripped off its hinges and a baby died when a heavy water tank fell. It was the mayor, Johnny Murphy, who came to lift the tank off the little body. Cribs were covered with glass and splinters. Fearing another explosion, the Sisters carried the babies over to the Commons. Remarkably, none of the babies caught cold. Later they returned to find water and heat cut off. Neighbours rallied to help. Over time the roof and other parts were repaired. An outstanding improvement was replacing straw ticks with real mattresses on all the cribs and beds. In those days usually six or seven unmarried mothers lived in and stayed on to breastfeed and help out with work. Sister Eucharia said that the beautiful unity that existed among the Sisters is what she remembered most from her six years at the Home. A Boston girl, identified as Katherine H. White, attending a school at Rockingham [Mount Saint Vincent Academy] on the outskirts of Halifax said: “The school building shook like a leaf. Every window crumbled. Then came the awful screaming. Men came to us and asked for God’s sake to give them cloth for bandages. We tore up sheets and gave it to them. By that time loads of dying and injured were being brought to us in wagons.” From the Boston Herald 1917. At the time of the Halifax Explosion, Mount Saint Vincent Motherhouse (1873 – 1951) sustained some structural damage but “every window was broken, some of them old and of stained glass of great value”. When one particular pane of glass exploded, the crystal inserts were saved. It has been said that this was in the library area of Mount Saint Vincent Academy. 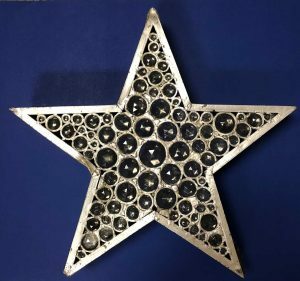 At the request of Sister Maria Joseph Johnson, superintendent of the Motherhouse farms, Mr. Bayer, engineer for the Motherhouse, created the “Bethlehem Star” and was placed each year above the outdoor Christmas Crib on the grounds at the Old Mount. (destroyed by fire in 1951) One question remains: Where was this star at the time of the Mount Fire when everything was lost? 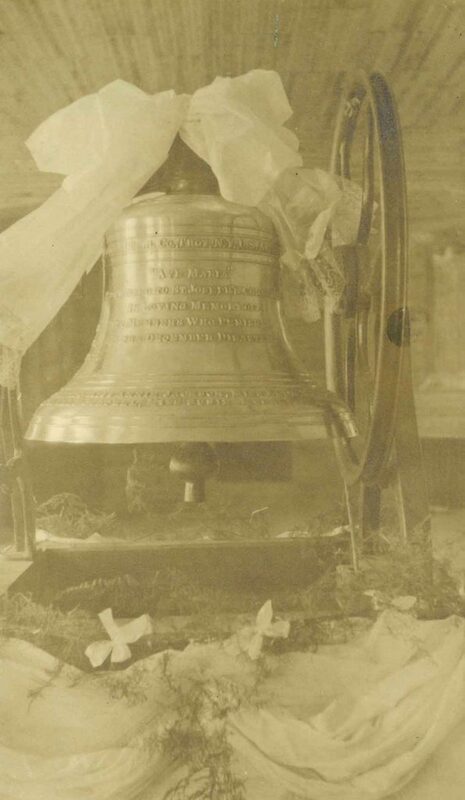 This picture of the Ave Maria Memorial Bell was taken in 1928 when it was dedicated and blessed by Rev. C.E. 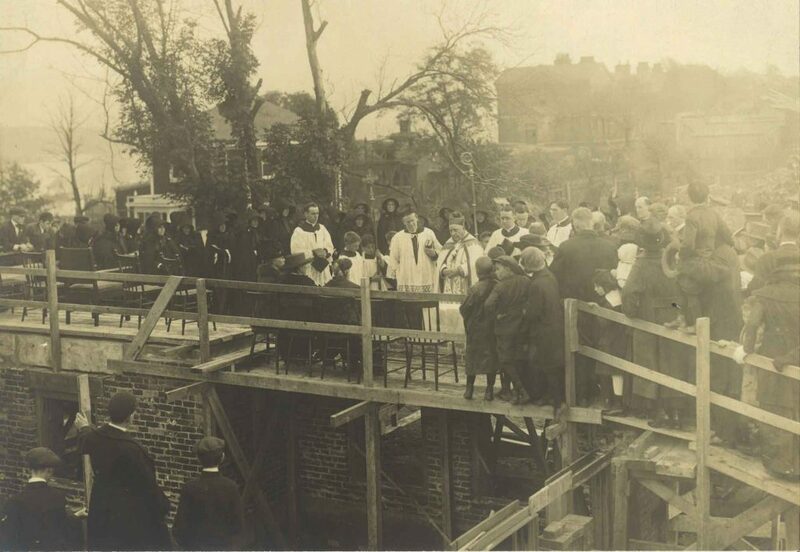 McManus, beloved and devoted pastor of Saint Joseph’s Parish before and after the Halifax Explosion. 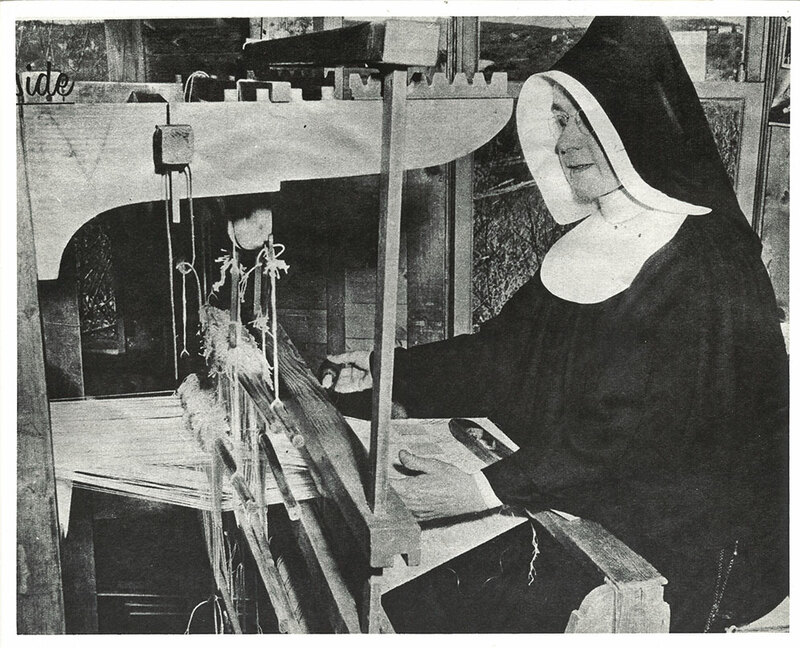 All images and materials, unless otherwise noted, are courtesy of Sisters of Charity – Halifax Congregational Archives.